Outback Steakhouse is an American casual dining grill restaurant specializing in serving different steak cuts. They also offer chicken, seafood, ribs and pasta at generous sizes and reasonable prices. The Australian-themed restaurant chain is founded in February 1988 in Tampa Florida by Chris Sullivan, Bob Basham, Trudy Cooper and Tim Gannon. It focuses on grilled American cuisines. Today, there are more than a thousand Outback Steakhouse restaurant branches located in more than 20 countries all over the globe. The company has over 20,000 people in their employ. It is currently under the Bloomin’ Brands Company. Employees enjoy medical, dental and life insurance coverage. They also get to benefit from disability coverage and an Employee Assistance Program. A 401(K) Savings Plan is also in place. They also get to enjoy paid vacation leaves as well as discounts on food and beverage. Free meals are offered as well. Outback Restaurant offers salary at competitive rates. Employees also love the cash on hand system. Employees claim that there are good opportunities for career advancement. How old do you have to be to work at Outback Steakhouse? Those who are interested in entry-level positions at Outback Steakhouse should be at least 16 years old. However, those who want to apply for managerial posts should be at least 18. Outback Steakhouse is looking for part-time and full-time employees. They’re looking for people who are ready to work in a fast-paced environment. The shifts that employees are assigned to would vary depending on their position. Line Cook: Line cooks are responsible for preparing what the customers ordered. They make sure that they serve quality food. Plating should be acceptable and food safety should not be compromised. They also have to keep their workstation clean. They are in charge of various kitchen tools and equipment such as grills, fryers, and kitchen shelves. Host: The host is responsible for greeting incoming and departing guests with friendly, attentive and prompt service. They seat guests in bar and dining areas. They also answer phone calls, and they also assist in the dining area by bussing tables. Dishwasher: They are in charge of washing the plates and small wares. They also organize the wares into their proper storage area. They dispose trash and remove linen bags. They ensure that food safety is being followed by rinsing and washing items at proper temperatures. Restaurant Busser: The busser is in-charge of pre-bussing tables. They are also responsible for the overall cleanliness of the floors and the restaurant. They also set the tables and clean the tables after the guest leaves. They also assist guests when called. Bartender: The bartender is responsible for making drinks as requested by the customer. They must be knowledgeable of the menu and can provide recommendations when asked. Their workstation must be clean and must be able to prepare drinks by following proper food handling regulations. Server: A Server is responsible for taking care of the dining area. They take orders from the customers and give suggestions regarding the menu. They relay the order to the kitchen and serve the order when it is completed. They also ring the POS after taking orders and assist in the cleaning of tables. Delivery Driver / To-Go-Specialist: They are responsible for greeting guests in person and via phone call in a professional and friendly manner. They must have intensive knowledge of the menu to provide recommendations and take note of the orders with accuracy. They will assist with the assembly of orders and condiments and deliver the food items in top-notch quality. Restaurant Manager: They make sure that operations are running smoothly. Their responsibilities are primarily focused on maintaining revenue and meeting goals which means that they need to complete reports and paperwork. They also need to ensure that customers get a great dining experience. They assign the shifts of the staff, respond to guest comments, and make sure the store is compliant with company standards. Field Trainer / Coach: The field trainer is responsible for facilitating training and rollout processes. They also participate in counseling and coaching of team members, identifying members that need training, and monitor issues and take actions when necessary. They also evaluate the restaurants to make sure the brand’s standards, procedures, and policies are met. HRIS Analyst: They are in-charge of configuration, testing, evaluation, troubleshooting, and maintenance of the Human Resources Information Systems. They maintain the data integrity of the system for the Payroll systems. They also develop and execute test scenarios and implement strategies and plans and develop training materials and plans. The application is simple. Applicants can access an application system online. A form has to be filled out. Applicants will have to create an account with their database after accomplishing the form. They can also apply via LinkedIn. The online portal for restaurant jobs is different from the one for corporate applications. In the portals, you will find information on the job description as well as the requirements for the position. You will also find a link to where you could submit your application. Your resume should be free from grammatical errors and typos. It should be formatted properly. Make sure to choose a readable font. For the interview, it’s a must that you dress properly. Arrive on time but don’t be more than a quarter of an hour early. Applicants should prepare for common job interview questions and give the impression that they’re taking the interview – and the job — seriously. The brand encourages diversity and uniqueness of its employees. They believe in the value of diversity, the sanctity of the individual and treating people with respect, understanding, and kindness. The company provides nutritional facts containing calories, fat, cholesterol, and sodium among others for its entire menu. They also have the Click Thru Seating, an online reservation seating system. 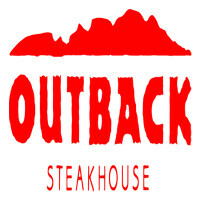 The brand is known for its seven cuts of steaks to choose from and the Bloomin’ Onion – a signature Outback dish. It is under the same company along with Carraba’s Italian Grill, Bonefish Grill, Fleming’s Prime Steakhouse & Wine Bar. Outback Steakhouse partners with Operation Homefront by donating up to $100,000 in 2018. They aim to make life a bit easier for the families of militaries and veterans. 1 How old do you have to be to work at Outback Steakhouse?